When a concerned pet owner fears their pet may be in pain, it is not uncommon to consider the use of human medications. Unfortunately giving pets human medications (especially pain killers) can have a devastating impact on pets. This article will focus on the use of Ibuprofen as an example of one type of human pain relief medication and the affect it can have on animals. Can you give human pain killers such as Ibuprofen to pets? Ibuprofen, more often known by the brand Nurofen, is a common and effective medication used to treat inflammation and pain in humans. We see and treat toxic reactions as a result of ibuprofen being given to animals. If your pet has been given ibuprofen, please do not feel guilty - we would rather you take immediate action. We know what it is like to see a pet in pain and we understand that you were only trying to assist your pet. You can prevent long term damage with rapid treatment. If you suspect your dog has been given or has eaten ibuprofen by accident, please contact us immediately, even if he/she is not showing signs of toxicity. If left untreated ibuprofen can cause bleeding of the stomach due to ulceration and kidney failure. We are able to assess the severity of a toxic reaction by assessing a pet's vital signs, their physical condition and most importantly by their blood test results. Treatment for ibuprofen toxicity generally commences with continuous intravenous fluid therapy. Depending on the severity of the reaction a pet may also be given medication. In some cases, particularly where stomach bleeding has occurred and a pet has signs of anaemia we may also give a patient a blood transfusion. The most important message is to never give your pet any type of medication before speaking to your veterinarian. This doesn't just stop at ibuprofen. For example cats are extremely sensitive to both aspirin and paracetamol (such as Panadol) and can be poisoned by "human" sized doses. 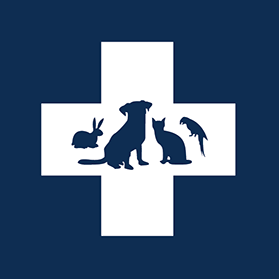 If you suspect your pet needs pain relief, please don't hesitate to contact one of our pet healthcare team members who can advise you of the best course of action.